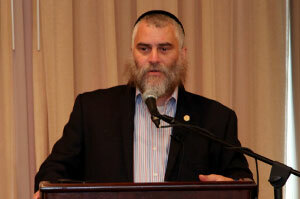 Rabbi Sneiderman is the Director of Chabad at the University of Delaware. In addition to his campus responsibilities, he teaches at Gratz Hebrew High, Wilmington JCC's Melton Program, and sometimes in the Philosophy Dept. at UD. Rabbi Sneiderman names some reactions a person could have to things not going according to their plan…. Rabbi Eliezer Sneiderman discusses the reasons why Jews don’t accept Jesus as the Messiah. This class was given at a special session for the Sinai Scholars college students at the National Jewish Retreat. For more information about the National Jewish Retreat and to register for this year’s Retreat, check out JRetreat.com.